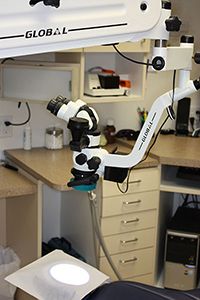 An exciting new addition to our treatment capabilities is our recent introduction of CAD-CAM restorations. Computer-aided design (CAD) and computer-aided manufacture (CAM) is being used today in many industries in order to achieve higher levels of accuracy, precision and predictability over what is possible by more conventional and traditional means of production. Dentistry is no different. 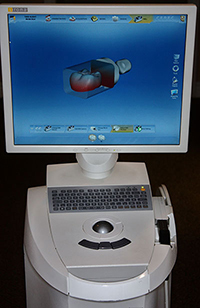 With our introduction of the Sirona CEREC system into our clinic, we have embraced the 21st century! This integrated component system allows us to make a digital impression of the prepared teeth by scanning them directly with an optical scanner rather than using the usual putty-like materials, then designing the restoration with the use of the computer software, before finally sending the virtual design to a milling chamber where the restoration is cut from a block of tooth-like ceramic in a matter of minutes. The result is a superior restoration that will be stronger and more durable and exert less stress on the tooth than a conventional filling, all in one sitting! 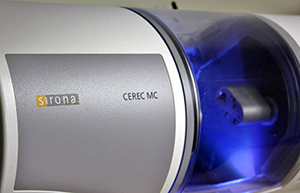 Ask at your next appointment whether you might be a candidate for a CEREC restoration. your dental care, the Sirona website is www.sirona.com.